Animals in Celtic and Welsh mythology are tied in with fertility and vitality, because they are living, moving, and growing. Os animais na mitologia celta e galesa estão ligados à fertilidade e vitalidade, porque eles estão vivendo, se movendo e crescendo. They also provide vitality and continued life for the tribes through their meat, skins, and bones. Eles também forneceram vitalidade e a vida continuou para as tribos através de suas carnes, peles e ossos. In addition, they are a connection to the realm of spirits and the gods. Além disso, eles são uma conexão com o reino dos espíritos e deuses. This connection is seen through their use in the hunt, search for secrets and wisdom. Esta conexão é vista através da sua utilização na caça, na busca de segredos e sabedoria. Specific animals have specific associations depending on the characteristics of the type of animal. Animais específicos têm associações específicas, dependendo das características do tipo de animal. Birds, fish, serpents, deer, cattle, swine, and so on all tend to be used as symbols. Boars, fishes, serpents, birds, and herd animals are the most frequently described. Aves, peixes, serpentes, cervos, bovinos, suínos, e assim por diante todos tendem a ser usados como símbolos. Javalis, peixes, serpentes, pássaros e animais de rebanho são os mais freqüentemente descritos. In addition to representing fertility and wealth, boars symbolize courage and strong warriors (MacCulloch, 356) for they are strong, dangerous, and very hard to kill. Além de representar a fertilidade e riqueza, o javali simboliza coragem e fortes guerreiros (MacCulloch, 356) porque eles são fortes, perigosos e muito difíceis de matar. Their appearance in dreams and visions also indicates warriors. Isolt's forewarning of the death of Tristan, a great warrior, came in a dream about the death of a great boar ( Spector , 85-86). Statues of boars are occasionally found in the company of statues of armed warriors, ( Powell , 176) further indicating an association between boars and warriors . Sua aparição em sonhos e visões também indica grande perigo. A advertência da morte de Tristan, um grande guerreiro, veio em um sonho sobre a morte de um javali grande (Spector, 85-86). Estátuas de javalis são encontradas ocasionalmente na companhia de estátuas de guerreiros armados, (Powell, 176), indicando mais uma associação entre javalis e guerreiros. Great importance is attached to the bristles of the boar. Grande importância era dada para as cerdas do javali. Perhaps they are the distinguishing characteristic of the animal or symbolize its strength. Talvez sejam elas que distinguam a característica do animal ou simbolizem a sua força. For example, Fion is killed by stepping on a boar's bristle after breaking a geasa against hunting boars ( MacCulloch , 150). Por exemplo, Fion é morto por pisar em cerdas de javali depois de quebrar uma GESAA contra a caça de javalis (MacCulloch, 150). Some of the extraordinary boars, that King Arthur fights in Culhwch and Olwen, have bristles that are gold or silver. Algum dos javalis extraordinários é o que luta com o rei Arthur em Culhwch e Olwen, e que têm cerdas que são de ouro ou prata. Conversley, when Menw tries to steal treasures from Twrch Trwyth, He is only able to take a bristle. The pig herders at the start of the Táin, Friuch and Rucht, are named after the bristle and the grunt of the boar, respectively. Conversley, quando Menw tenta roubar tesouros de Twrch Trwyth, ele só é capaz de tomar uma cerda. Os criadores de suínos no início do Tain, Friuch e Rucht, são nomeados após a escova e o grunhido do javali, respectivamente. It is the bristle of the boar, Friuch, that proves to have the most power; in the end, Friuch reborn as Donn Cuilnge destroys Rucht as Finnebach Ai. É a cerda do javali, Friuch, que comprova ter o maior poder; no final, Friuch renasce como Donn Cuilnge destrói Rucht como Finnebach Ai. The bristles of the boar are mentioned many other times implying that they are an important part of the animal. As cerdas do javali são mencionadas muitas vezes, o que implica que elas são uma parte importante do animal. Fish, salmon in particular, are associated with knowledge. Os Peixes, em especial o salmão, estão associados com o conhecimento. The child that grew to be called Taliesin, the wise magician, was found in a fish weir. The significance of the salmon can be seen in many places. A criança que veio a ser chamado de Taliesin, o mago sábio, foi encontrada em um açude de peixes. A importância do salmão pode ser visto em muitos lugares. Gwyrhr questioned a series of wise animals, each one wiser than the previous, the oldest and wisest of all was the salmon of Llyn Llyw ( Ford , 148-149). Gwyrhr questionou uma série de animais sábios, cada um mais sábio do que o anterior, o mais velho e mais sábio de todos era o salmão de Llyn Llyw (Ford, 148-149). Cúchulainn used the hero's salmon leap across the Pupils' Bridge to get Scáthach's stronghold in order to gain access to Scáthach's advanced knowledge of arms. Cúchulainn usou o salto do herói salmão na Ponte dos alunos no reduto de Scáthach, a fim de obter acesso ao conhecimento avançado de armas de Scáthach. To gain the secrets Cúchulainn had to use the hero's salmon leap to Scáthach herself in order to gain the secrets reserved for her family. Each leap in the land of sorcery brought Cúchulainn to greater knowledge. Their wisdom can also be passed on by eating. 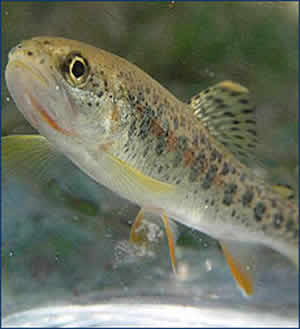 The magic salmon gain the power of wisdom by consuming the hazel nuts that drop into sacred springs ( MacCulloch , 377). By symbolically eating the salmon of wisdom, Demne gained such enormous wisdom that he was renamed ( Ford , 20). Para aprender os segredos Cúchulainn usou o herói salmão pulando para Scathach a fim de obter os segredos reservados para sua família. Cada salto na terra da feitiçaria trouxe para Cúchulainn maior conhecimento. Sua sabedoria também pode ser transmitida através de alimentos. O salmão adquiriu o poder mágico da sabedoria, comendo as castanhas que caem nas fontes sagradas (MacCulloch, 377). Por isso, simbolicamente, comer o "salmão” dá sabedoria, e a sabedoria adquirida por Demner foi tão grande que ele trocou de nome (Ford 20). Perhaps this is at the root of the modern practice where children are told to eat fish to increase their intelligence. Talvez esta seja a raiz da prática moderna, onde se diz às crianças para comerem peixe a de aumentar a sua inteligência. Serpents and dragons symbolize trouble. Serpentes e dragões simbolizam problemas. Whenever they appear, strife and infertility follow. Sempre que aparecem, conflitos e infertilidade vêm a seguir. King Arthur's troubles with the future of his kingdom are presaged by dreams of dragons and serpents at the time of Sir Mordred's conception. Os problemas do Rei Arthur com o futuro de seu reino são presságio pelos sonhos de dragões e serpentes, no momento da concepção de Sir Mordred. King Arthur drives them out, but is wounded ( Baines, 36 ). King Arthur leva-os para fora, mas é ferido (Baines, 36). King Arthur is finally devoured by them in his last dream, subsequently his next battle is when Sir Mordred kills him. King Arthur finalmente é devorado por eles em seu último sonho, posteriormente, sua próxima batalha é quando Sir Mordred o mata. It is interesting to note that it is the appearance of a snake that initiates the battle. É interessante notar que é o aparecimento de uma cobra que inicia a batalha. The swine herders before the Tain, Friuch and Rucht, ruin each other's land with snow during their magical fight, while in the forms of dragons ( Ford , 48). Os criadores de suínos antes do Tain, Friuch e Rucht, arruínam o terreno do outro com neve durante sua luta mágica, enquanto que nas formas de dragões (Ford, 48). Dragons should be particularly troubling to a king, because the king is the symbol of the fertility of the tribe and its land and the dragons are the counter symbol, laying waste to the land and preventing new growth. Dragões devem ser particularmente preocupantes para um rei, porque o rei é o símbolo da fertilidade da tribo e da sua terra e os dragões são o símbolo contador, devastando a terra e impedindo o crescimento do novo. Birds are usually used to represent prophetic knowledge , ( Davidson, 91 ) bloodshed, and skill. As aves são normalmente utilizadas para representar o conhecimento profético, (Davidson, 91) derramamento de sangue, e habilidade. In an omen, birds can be either the message or the messenger. Em um presságio, as aves podem ser tanto a mensagem ou o mensageiro. For example, Morrígan came in the shape of a bird to warn the Brown Bull ( Kinsella , 98). The interpretation of their calls and movements can lead to knowledge of future events. Por exemplo, Morrígan veio na forma de um pássaro para alertar o Touro Brown (Kinsella, 98). A interpretação das suas chamadas e movimentos pode levar ao conhecimento dos eventos futuros. 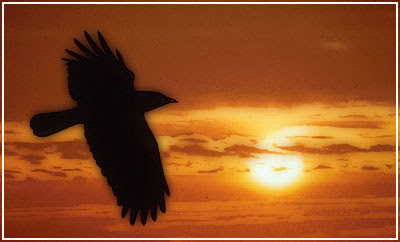 Birds, especially ravens and crows, usually presage bloodshed and battle, when they are associated with it, sticking with the theme of prophesy. Aves, especialmente corvos, normalmente pressagiam derramamento de sangue e batalha, quando estão associados a ele, honrando com o tema da profecia. Deirdre's dream of three birds drawing blood foreshadowed death and Lleu Llaw Gyffes was shedding rotting flesh and maggots while in the form of an eagle. The Irish war goddesses were said to call the ravens down to battle fields to feast on the flesh of the slain ( Davidson, 98 ). O sonho de Deirdre de três aves extraindo sangue anunciava a morte e Lleu Llaw Gyffes se desprendia da carne podre e vermes, enquanto na forma de uma águia. Dizia-se que as deusas de guerra irlandesas chamavam os corvos até os campos de batalha para deleitarem-se com a carne dos mortos ( Davidson, 98). Even normal, modern crows and ravens descend to feed on corpses along the road. É normal, modernas gralhas e corvos descem para se alimentarem de cadáveres ao longo da estrada. Birds can also be used to demonstrate a warrior's prowess by their method of capture . Aves também podem ser usadas para demonstrar a valentia de um guerreiro por seu método de captura. Lleu Llaw Gyffes was so skilled he could hit birds with a stone without killing them outright ( Ford , 101). Lleu Llaw Gyffes foi tão hábil que poderia abater pássaros com uma pedra sem matá-los imediatamente (Ford, 101). Cúchulainn demonstrated even more prowess capturing birds skillfully, but his son, Connla was still more skilled. He could not only stun them with a stone, but also with only his voice ( Kinsella , 39, 91). Cúchulainn demonstrou mais valentia ainda capturando aves com habilidade, mas seu filho, Connla foi ainda mais qualificado. Ele não só poderia atordoar-los com uma pedra, mas também apenas com sua voz (Kinsella, 39, 91). Horses, cattle, and pigs represent fertility. Horse, cattle, and pig bones are found in Welsh and Celtic graves , ( Powell , 28) indicating that they were very important to those cultures. Cavalos, bovinos, suínos e representa a fertilidade. Eles são encontrados em Gales e em sepulturas celtas, (Powell, 28), indicando que eram muito importantes para essas culturas. The prosperity of the clan is reflected in the prosperity of its herds. Cattle were a major Celtic food source ( Davidson , 52)and as such, would be proportionally important to the success and survival of the tribe. A prosperidade do clã estava refletida na prosperidade dos seus rebanhos. O gado foi uma importante fonte de alimento Celtic (Davidson, 52) e, como tal, seria proporcionalmente importante para o sucesso e sobrevivência da tribo. Later, pigs became added to the diet of the Irish. 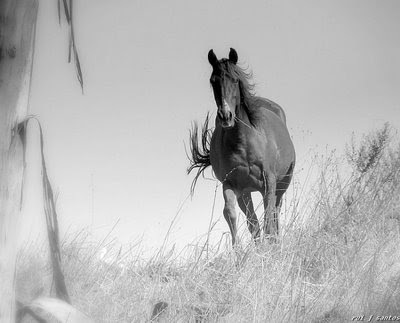 Horses were also seen to symbolize fertility. Davidson (54) Davidson described rituals where the leader of the tribe mated with a horse. Mais tarde, suínos foram adicionados à dieta do irlandês. Cavalos também foram observados para simbolizar a fertilidade. Davidson (54) Davidson descreveu rituais onde o líder da tribo acasalava com um cavalo. The bull, which is the leader of the cattle, symbolized the herd and its fertility just as the king would symbolize the clan and its fertility, thus joining the fertility of the horse with the tribe's. O touro, que é o líder do gado, simbolizava o rebanho e sua fertilidade como o rei iria simbolizar o clã e sua fertilidade, juntando-se assim a fertilidade do cavalo com a tribo. The theme of the hunt uses animals to pass to and from the realm of magic and the gods in Celtic and Welsh mythology. O tema da caça usa animais para passar de e para o reino de magia e os deuses na mitologia celta e galesa. For example, during the excitement of the hunt, the chosen party pursues an unusually fleet of foot, magical prey out of the world of the mortals and into a place of magic. Other ways to enter the other world are by charm , like the song from magical birds ( Ford , 71), or by spell, like the mist descending over land ( Ford , 77). Por exemplo, durante a excitação da caça, o partido escolhido tem uma frota invulgarmente do pé, presa mágica fora do mundo dos mortais e em um lugar de magia. Outras maneiras de entrar no outro mundo são por encanto, como a canção a partir de aves mágicas (Ford, 71), ou por magia, como a névoa descendo sobre a terra (Ford, 77). Wells, springs, rivers, and earthen mounds are some of the magical places that border with or co-exist in the other world. Poços, nascentes, rios e montes de terra são alguns dos lugares mágicos que fazem fronteira com ou co-existem no outro mundo. In these places, magic is much more prevalent and sometimes even time passes differently there. Nestes locais, a magia é muito mais prevalente e, por vezes mesmo tempo passa de forma diferente lá. The magical animals are noteworthy in appearance and get the attention of the hunter by their supernatural shape, color, speed, and power. Os animais mágicos são notáveis na aparência e obtem a atenção do caçador, pela sua forma sobrenatural, cor, velocidade e potência. 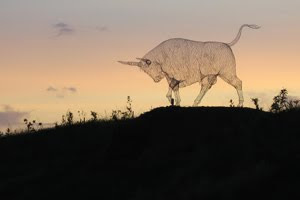 There are many other examples of the pursuit of supernatural beasts throughout Celtic and Welsh mythology with the common characteristic being their unnatural, white color. While pursuing a large, white deer , King Arthur arrives at Sir Pellinore's well, a magical site, without his hunting party or his horse ( Baines, 37). Pryderi and Manawydan pursue a "gleaming white boar" ( Ford , 80) which leads them and their dogs to a magical trap. Há muitos outros exemplos da busca de feras sobrenaturais em toda a mitologia celta e galesa com a característica comum que é a sua cor natural branca. Ao perseguir um grande veado branco, King Arthur chega a Sir Pellinore bem, um local mágico, sem a sua caça partida ou seu cavalo (Baines, 37). Pryderi e Manawydan perseguiram um "javali branco brilhante" (Ford, 80) que os levou e os seus cães para uma armadilha mágica. The bright white animals from the other world sometimes have bright, glowing, red ears, but they are not a natural type of white or red. Os animais branco brilhante do outro mundo são por vezes luminosos, brilhantes,as orelhas vermelhas, mas não são um tipo natural de cor branca ou vermelha. Prince Pwyll encounters king Arawn's dogs from the other world. The dogs appear with "glittering bright white" and red ears that glitter as brightly as their white bodies ( Ford , 37). Rhiannon arrives from the other world on her white horse at an earthen mound ( Ford , 42-45). Prince Pwyll encontra cães do rei Arawn do outro mundo. Os cães aparecem com "orelhas luminosas de branco brilhante" e vermelho que são tão brilhantementes quanto seus corpos brancos (Ford, 37). Rhiannon chega do outro mundo em seu cavalo branco em um montículo de terra(Ford, 42-45). 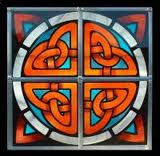 Fertility and continuation of the clan was a major concern of the Celtic and Welsh peoples. Fertilidade e a continuação do clã foi uma das principais preocupações dos povos celtas e galês. Here again, animals figured strongly with fertility in Celtic and Welsh mythology. Aqui, novamente, os animais figuram fortemente com a fertilidade na mitologia celta e galesa. A prosperous tribe was indicated by healthy, plentiful animals. A prosperidade da tribo era indicada por animais saudáveis, animais abundantes. A few animals are associated with infertility because their success is incompatible with the survival of the tribe. For example, dragons indicate lack of fertility. Alguns animais são associados com a infertilidade, porque seu sucesso é incompatível com a sobrevivência da tribo. Por exemplo, os dragões indicam falta de fertilidade. Two dragons were heard screaming on the island of Britain every May 1st, and this caused sterility in all living creatures of the land and water ( Ford , 113-116). A dragon briefly ravaged Ireland, ruining the land and preventing daily activities (Spector, 17-18). Dois dragões foram ouvidos gritando na ilha da Grã-Bretanha a cada 1º de maio, e isso causou esterilidade em todas as criaturas vivas da terra e da água (Ford, 113-116). Um dragão rapidamente devastou a Irlanda, arruinando a terra e impedindo atividades diárias (Specto, 17-18). The dragons had to be destroyed in order to restore the fertility of the land. Os dragões tiveram de ser destruídos a fim de restaurar a fertilidade da terra. No specific causes were given for the arrival of the dragons. A vague, magical power, but no clear purpose was given to the nine scores of birds that consumed the fertility of the fields of Ulster ( Kinsella , 21). Nenhuma causa específica foi dada para a chegada dos dragões. Vagamente, o poder mágico, mas nenhuma finalidade clara foi dada às nove dezenas de aves que consumiram a fertilidade dos campos do Ulster (Kinsella, 21). So, it is quite likely that they are merely symbols of hard times. Assim, é bastante provável que eles sejam apenas símbolos dos tempos difíceis. However, more earthly explanations, like revenge or a curse, have been the cause for destruction or loss of fertility. Under a spell, hoards of warriors disguised as mice ravaged Manawydon's wheat, destroying the fertility of his land as revenge for Gwawl ( Ford , 82-87). No entanto, as explicações mais terrenas, como vingança ou uma maldição, podem ter sido a causa de destruição ou de perda de fertilidade. Sob um feitiço, hordas de guerreiros disfarçados como ratos devastaram o trigo de Manawydon, destruindo a fertilidade de suas terras como vingança para Gwawl (Ford, 82-87). Birth and rebirth are fertility. The Celts believed that souls were manifested as tiny animals or beings ( MacCulloch , 160). Nascimento e renascimento são a fertilidade. Os celtas acreditavam que as almas se manifestam como pequenos animais ou seres (MacCulloch, 160). Lleu Llaw Gyffes was grown from "some little thing" ( Ford , 98-99). Lleu Llaw Gyffes foi cultivado em "alguma coisinha" (Ford, 98-99). If such a magical being was eaten by a female, then it would grow until she gave birth to it. Se tal ser mágico foi comido por uma mulher, então ele iria crescer até que ela deu à luz a ele. This is illustrated in the rebirths of Taliesin, Sétanta, Finnebach Ai, and Donn Cuailnge who were all consumed by their mothers as tiny creatures and then reborn. Isto é ilustrado nos renascimentos de Taliesin, Setanta, Ai Finnebach e Donn Cúailnge que eram todos consumidos por suas mães como criaturas minúsculas e depois renasciam. 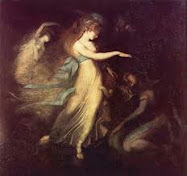 Taliesin had been Gwion Bach disguised as a grain of wheat ( Ford , 164, 173) and Sétanta, later known as Cúchulainn, had been a vague, tiny creature in a drink, possibly the soul of the god Lug ( Kinsella , 23). Taliesin tinha sido Gwion disfarçado como um grão de trigo (Ford, 164, 173) e Setanta, mais tarde conhecido como Cúchulainn, tinha sido uma criatura, pequena vaga em uma bebida, possivelmente a alma do deus Lug (Kinsella, 23). Both Taliesin and Cúchulainn had extraordinary abilities extending to the supernatural, and Taliesin even described himself as having previously been Gwion Bach. Ambos Taliesin e Cúchulainn tinham habilidades extraordinárias que se estende ao sobrenatural, e Taliesin mesmo se descreveu como tendo sido previamente Gwion. Friuch and Rucht changed into maggots, very small creatures, and were consumed by cows while fighting each other in a battle of magic. Friuch e Rucht transformados em vermes, criaturas muito pequenas, foram consumidos pelas vacas, enquanto lutavam entre si em uma batalha de magia. They became reborn as the extraordinary bulls Finnebach Ai and Donn Cuailnge. Tornaram a renascer como os touros extraordinários Finnebach Ai e Donn Cúailnge. They continued to escalate their combat by involving the tribes of Ireland, suggesting at least partial survival of their personalities. Eles continuaram a aumentar seu combate através do envolvimento das tribos da Irlanda, o que sugere pelo menos sobrevivência parcial de suas personalidades. Animals are used to bring knowledge directly by speech, through what they symbolize, and through their use in rituals. Os animais são usados para trazer o conhecimento diretamente pelo discurso, através do que eles simbolizam, e através de seu uso em rituais. Eating special animals provided Celts with knowledge. Comer animais especiais provia os celtas com o conhecimento. When Demne tastes by accident the salmon of wisdom caught by Finn Éces ( Ford , 20) he gains such great wisdom that he is renamed. Davidson (143) mentions the use of animal hides to enhance the contents of dreams . Quando Demne come por acidente, o salmão da sabedoria capturado por Finn Éces(Ford, 20) ele ganha sabedoria tão grande que ele é renomeado. Davidson (143) menciona o uso de peles de animais para melhorar o conteúdo dos sonhos. However, the most common way of gaining knowledge from animals in Welsh and Celtic mythology was to talk with them or to interpret their actions. No entanto, a forma mais comum de adquirir conhecimentos a partir de animais em galês e mitologia celta era falar com eles ou interpretar as suas ações. Exceptionally magic or ancient animals speak the language of humans and can pass on their wisdom through speech. Excepcionalmente animais mágicos ou antigos falam a língua dos seres humanos e podem transmitir a sua sabedoria através da fala. By and large birds are associated with speech. Aves de grande porte estão associadas com a palavra (oratória). Branwen took an ordinary starling and taught it to understand enough speech to find her brother Ford , 65). Branwen tomou um estorninho-comum e ensinou a compreender o discurso bastante para encontrar seu irmão (Ford, 65). Gwyrhyr & Arthur's messengers conversed with an eagle, an owl, a stag, a blackbird, and a salmon to learn ancient knowledge from them (Ford, 148-149). Mensageiros de Gwyrhyr & Arthur conversavam com uma águia, uma coruja, um veado, um pássaro-preto, e um salmão para aprender o conhecimento antigo deles (Ford, 148-149). A special understanding of the speech of animals can yield a great advantage. A compreensão especial do discurso de animais pode render uma grande vantagem. Some heros have gained knowledge of the speech of birds, enabling them to be warned of danger or told secrets by the birds. Davidson (87) mentions a less mythical middle-Irish manuscript describing how to determine the approach of visitors through interpretation of bird calls . Alguns heróis ganharam o conhecimento da linguagem dos pássaros, que lhes permitiam serem avisados de perigo ou contavam segredos pelos pássaros. Davidson (87) menciona um meio menos mítico e um manuscrito irlandês descreve como determinar a abordagem de visitantes através da interpretação dos chamados das aves. Animals appear as an omen by their appearance and activity through a symbolic message. Animais aparecem como um presságio da sua aparência e da actividade através de uma mensagem simbólica. The type of animal and their activity is the substance of the message. O tipo de animal e a sua atividade é a substância da mensagem. On the eve of his battle with Sir Mordred, King Arthur dreamt of being devoured by serpents, dragons, and other water beasts. The serpents and dragons alone mean great troubles within the land. Na véspera de sua batalha com Sir Mordred, Rei Arthur sonhou ser devorado por serpentes, dragões e animais aquáticos. As serpentes e os dragões só significam grandes problemas no interior da terra. King Arthur was destroyed by this mass of troubles, because the next day, he was defeated in a battle during the civil war with Sir Mordred ( Baines , 497-498). Another example of an omen is Deirdre's dream of the three great birds. Rei Arthur foi destruído por essa massa de problemas, porque no dia seguinte, ele foi derrotado em uma batalha durante a guerra civil com Sir Mordred (Baines, 497-498). Outro exemplo de um presságio é o sonho de Deirdre de três grandes aves. They arrived bearing honey and left with blood, symbolizing treachery on the part of king Conchobar ( Pilkington , 177). Movements of smaller animals, such as birds and rabbits, have also been interpreted to divine the future ( Davidson, 11, MacCulloch , 219, 247). Eles chegaram trazendo mel e da esquerda com o sangue, simbolizando a traição por parte do rei Conchobar (Pilkington, 177). Movimentos de pequenos animais, como aves e coelhos, também têm sido interpretados para adivinhar o futuro (Davidson, 11, MacCulloch, 219 , 247). 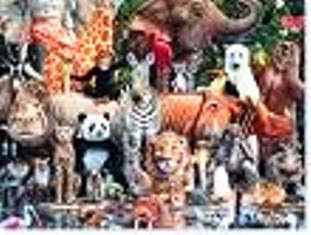 Shape changing is another theme generally involving animals. Mudança de forma é outro tema, geralmente envolvendo animais. Sometimes humans are changed into the shape of other humans. Às vezes os seres humanos são alterados na forma de outros seres humanos. Merlin, King Uther Pendragon, Pwyll, and King Arawn are examples. Merlin, o Rei Uther Pendragon, Pwyll, e o rei Arawn são exemplos. However, the forms changed into are most often those of animals. MacCulloch and Davidson make several references to people being changed into animals as punishment . No entanto, as formas são trocadas muitas vezes em de animais. MacCulloch e Davidson fazem várias referências a pessoas que são transformadas em animais como castigo. This happens in the story Math Son of Mathonwy . Generally, the animal shape is usually taken voluntarily in order to guard something or to gain an advantage in combat. Isso acontece na história de Math Filho de Mathonwy. Em geral, a forma do animal é usualmente tomada voluntariamente a fim de prevenir algo ou para ganhar uma vantagem no combate. Spirits and supernatural beings also take animal forms to guard something. Espíritos e seres sobrenaturais também tomam formas de animais para guardar alguma coisa. According to Celtic myths, each holy place generally has a spirit guardian in the form of an animal. De acordo com mitos celtas, cada santuário tem geralmente um espírito guardião sob a forma de um animal. Each well, a spring, a river, a mound, or a grove often is likely to have its own spirit. Water places would have a guardian in the form of a fish ( MacCulloch , 186). Cada poço, uma fonte, um rio, um monte, ou um bosque, muitas vezes é provável que tenha o seu próprio espírito. Locais de água teriam um guardião sob a forma de um peixe (MacCulloch, 186). Gods from the other world can assume animal forms for other reasons, also. Deuses do outro mundo podem assumir formas de animais por outros motivos, também. The god Lug may have become the small life that Deichtine consumed in order to become Cúchulainn, the guardian of the tribe of Ulster. O Deus Lug pode ter tornado consumada a curta vida de Deichtine, a fim de se tornar Cúchulainn, o guardião da tribo de Ulster. Battle while in animal form is commonly seen during a fight between two powerful opponents. Batalhas enquanto em forma animal são comumente vistas durante uma luta entre dois adversários poderosos. The two pig keepers, Friuch and Rucht, assumed the shapes of many creatures to try to gain an advantage over one another after their rivalry escalated into a long fight ( Kinsella , 46-50). Os dois criadores de porcos, Friuch e Rucht, assumiram as formas de muitas criaturas para tentar obter uma vantagem um sobre o outro depois de sua rivalidade que se transformou em uma luta longa (Kinsella, 46-50). 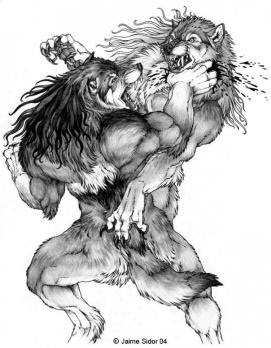 On a smaller scale, Morrígan fought against Cúchulainn using three different animal shapes in her efforts to gain an advantage ( Kinsella , 132-137). Kinsella , 77, 150-153, 195). Em menor escala, Morrigan lutou contra Cúchulainn com três animais diferentes formas em seus esforços para ganhar uma vantagem (Kinsella, 132-137). Kinsella, 77, 150-153, 195). Not all shape changes in battle are offensive. Nem todas as mudanças na forma de batalha são ofensivas. One example that describes shape changing in a defensive manner is Gwion Bach's attempt to escape from Ceridwen by using different animal forms ( Ford , 164, 173). Um exemplo que descreve a maneira de mudar de forma defensiva é a tentativa de Gwion para escapar de Ceridwen usando formas animais diferentes (Ford, 164, 173). Another is Lleu Llaw Gyffes' escape from an assassination by fleeing in the shape of an eagle ( Ford , 106-107). Outro é a fuga de Lleu Llaw Gyffes de um assassinato fugindo com a forma de uma águia (Ford, 106-107). In conclusion, the most frequently used animal symbols of the boar, fish, serpent, bird, and herd animals are closely connected with the physical well being of the tribe. Em conclusão, os símbolos animais mais utilizados do javali, peixes, serpentes, pássaros e animais de rebanho estão intimamente ligados com o bem estar físico da tribo. 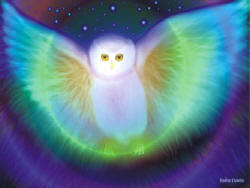 Divination of future events and past wisdom can be gained through proper use of animals. A adivinhação de eventos futuros e da sabedoria do passado pode ser adquirida através do uso adequado dos animais. Very powerful opponents take the shapes of animals for extra power. Muitos oponentes poderosos tomam as formas de animais para alimentação extra. Spirits and supernatural beings also take animal forms, often temporarily, before being reborn to guard a land or clan and thus its fertility. Espíritos e seres sobrenaturais também assumem formas de animais, muitas vezes temporariamente, antes de renascer para guardar uma terra ou clã e, portanto, sua fertilidade. Thus, animals symbolize the essence of fertility and vitality in Welsh and Celtic mythology. Assim, os animais simbolizam a essência da fertilidade e vitalidade em Gales e na mitologia celta. Baines, Keith, trans . Malory's Le Morte D'Arthur: King Arthur and the Legends of the Round Table . Baines, Keith, trans Le. Malory's Morte d'Arthur: King Arthur e as lendas da Távola Redonda. 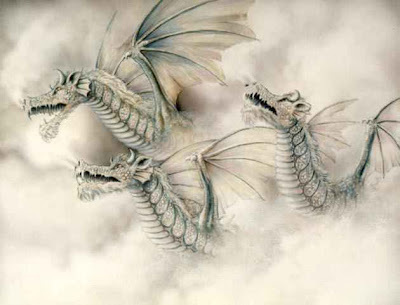 Return to: King Arthur's dragons and serpents , white deer , dreams of water beast as omens. Return to: dragões King Arthur's e serpentes, cervos branco, os sonhos de água besta como presságios. Davidson, HR Ellis . Myths and Symbols in Pagan Europe: Early Scandinavian and Celtic Religions . Davidson, HR Ellis. Myths and Symbols in Pagan Europe: Early Scandinavian Religiões e Celtic. Syracuse University Press: Syracuse, NY, USA, 1988. Return to: birds , ravens and battle , cattle as food for the Celts , Horses as fertility symbols , horse and tribe's fertility , divination from animal movement , shape changing as a punishment, animal skins to enhance dreams, or birds as converyors of secrets . Voltar para: aves, corvos e batalha, o gado como alimento para os celtas, os cavalos como símbolos de fertilidade, cavalo e da fertilidade da tribo, a adivinhação de circulação de animais, mudando a forma como uma punição, peles de animais para melhorar sonhos, ou aves como converyors de segredos. Ford, Patrick K., trans . The Mabinogi and Other Medieval Welsh Tales . Ford, Patrick K., trad. The Mabinogi and Other Medieval Tales galês. University of California Press: Berkeley, CA, USA, 1977. University of California Press: Berkeley, CA, E.U.A., 1977. Return to: wisdom of the salmon , gaining wisdom through eating salmon , dragons as infertility , use birds to demonstrate prowess, bird songs or mist to leave mortal world, pursuing a magical boar into other worlds, supernatural dogs , Rhiannon's arrival on a supernatural horse , dragons and sterility , and mice and hard times . 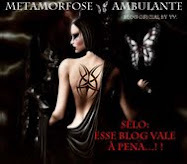 Return to: sabedoria do salmão da sabedoria, ganhando por comer salmão, dragões como a infertilidade, os pássaros usam para demonstrar a proeza, o canto dos pássaros ou névoa para deixar mundo mortal, perseguindo um javali mágico em outros mundos, cães sobrenatural, chegada Rhiannon sobre um cavalo sobrenatural , dragões e esterilidade, e ratos e tempos difíceis. Kinsella, Thomas, trans . The Tain . Kinsella, Thomas, trans. The Tain. Oxford University Press: Oxford, England, 1969. Oxford University Press: Oxford, Inglaterra, 1969. Return to: birds as messengers , Connla's use of birds to demonstrate prowess, flock of birds consuming crops of Ulster, small creatures as souls, shape changing in battle . Voltar para: aves como mensageiros, use Connla de aves para demonstrar coragem, bando de pássaros culturas de consumo do Ulster, pequenas criaturas como almas, mudando a forma em batalha. MacCulloch, J. A . The Religion of the Ancient Celts . T. and T. Clark : Edinburgh, Scotland 1911. MacCulloch, J. A. A religião dos antigos celtas. T. & T. Clark: Edinburgh, Escócia, 1911. Return to: boars as symbols of strength and courage, boar bristles , salmon gain wisdom, tiny animals as souls, divination from animal movement , shape changing as a punishment, spirit guardians . Return to: javali como símbolos de força e coragem, cerdas de javali, sabedoria salmão ganho, pequenos animais como almas, a adivinhação de circulação de animais, mudando a forma como uma punição, tutores espírito. Return to: birds as omens in dreams. Voltar para: aves como presságios em sonhos. Powell, TGE . The Celts . Powell, TGE. Os Celtas. New Ed., Thames and Hudson: New York, NY, USA, 1980. Nova ed., Thames and Hudson: Nova York, NY, E.U.A., 1980. Return to: boars and warriors or horses, cattle, and pigs in Celtic graves. Return to: javali e guerreiros e cavalos, bovinos e suínos em sepulturas celtas. Sharkey, John . Celtic Mysteries: The Ancient Religion . Sharkey, John. Celtic Mysteries: a antiga religião. Crossroad: New York, NY, USA, 1975. Crossroad: New York, NY, E.U.A., 1975. Return to: boars as warriors or dragons and infertility . Return to: javali como guerreiros ou dragões e infertilidade.